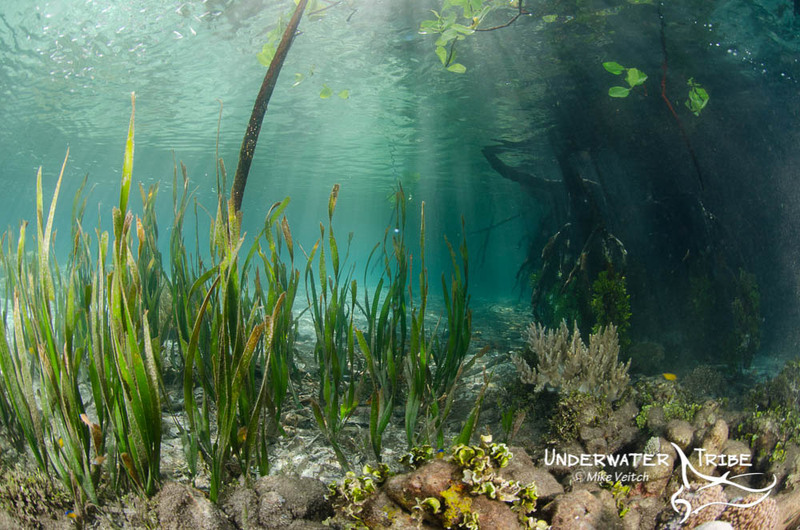 I am in Raja Ampat at the moment, love diving and snorkeling in the mangroves here! This is another shot from the other day taken at Gam/Yangeffo mangroves. Alor is one of the most underrated destinations in Indonesia, in fact, the entire area east of Maumere is home to some incredible geography with plenty of belching volcanoes, healthy reefs, and traditional cultures. Although many divers head to the area to take advantage of the superb macro photo subjects, the wide angle photography opportunities are also very rich. One of the more unique areas is the island of Pura, a large volcano thrusting 1000 metres out of the water in the strait between Pantar and Alor. On the south eastern shore of Pura lies one of the more interesting dives in Alor, basically several kilometres of never ending bubble tipped anemones and their resident clownfish. Although the endless spread of anemones is a cool site to see, it’s the chance to encounter local kids in the water at this site that can often be the highlight of a dive here. 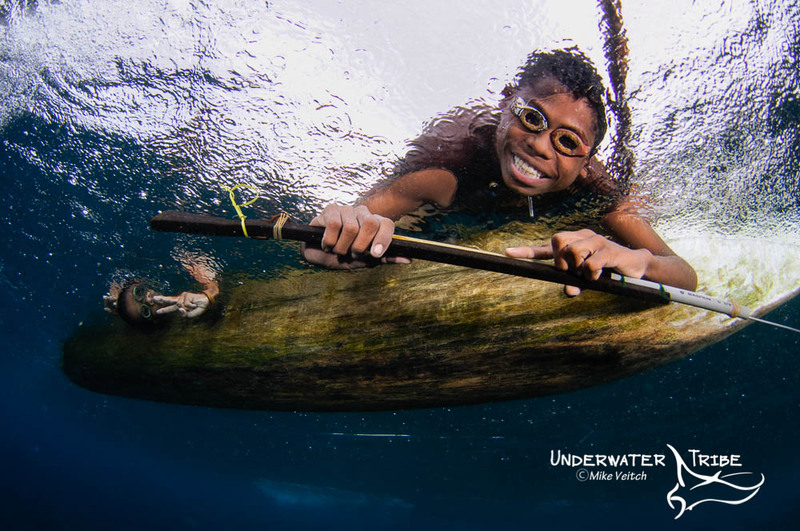 Quite often the young boys from the village can be found playing in their small boats or swimming in the water with their hand made spear guns. It’s quite a sight to look up from the reef to see one of these young men peering down at you from the surface while wearing home made goggles. With this particular shot I spotted the guys paddling out toward me in their small outrigger while I was near the surface. Next thing I knew, the two young fellas both popped their faces into the water at the same time! I think they did this not only to check who was down there but also to see if I had a camera, because the next thing you know they both jumped into the water at the same time. Why did they want to see if I had a camera? Why did they jump in the water? They wanted to perform for my camera of course! While one of them kept diving down and posing in a zen like state, the other was swimming along with his spear gun trying to impress me with his fish killing prowess (I ignored him because of that..) I spent 15 or 20 minutes with these kids taking quite a few photos of them but it was the first photo that stands out the most. I was extremely fortunate to capture their happy smiles and the obvious eagerness as they were waiting to “clown” for the camera.